As of September 30, 2017, Westports has a cash pile of RM429 million and debt worth RM1.4 billion, translating into net debt-to-equity ratio of 0.47-folds. 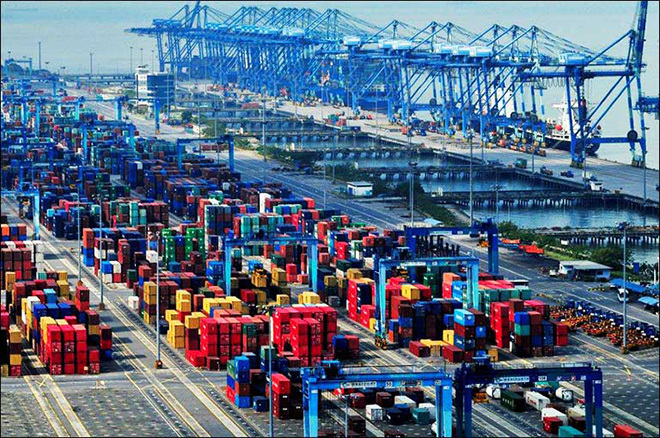 KUCHING: Analysts believe that given Westports Holdings Bhd’s (Westports) steady day-to-day operations and financial health, the Bill of Demand by the Royal Malaysian Customs (RMC) will not likely have a material impact on the ports operator. On Wednesday, Westports’ wholly-owned subsidiary, Westports Malaysia Sdn Bhd (WMSB) received several Bill of Demands pertaining to the period between July 17, 2017 and September 29, 2017 amounting to RM59.5 million from RMC. This amount includes inter alia, time-barred assessments for the years 2008 to 2011, import duty remittance for purchases of equipment and Goods and Services Tax (GST) for purchases after April 2015. According to its filing on Bursa Malaysia, Westports is appealing to relevant authorities (RMC and the Ministry of Finance) to facilitate an amicable settlement amount in relation to the demands. It also pointed out that as of September 30, 2017, Westports has a cash pile of RM429 million and debt worth RM1.4 billion, translating into net debt-to-equity ratio of 0.47-folds. The research team further noted that based on preceding cases, for instance Carlsberg Brewery Malaysia Bhd which was slapped with a Bill of Demand in September 2014, the conclusion settlement could take up to more than a year. “Hence, this matter will not likely be reflected in its financial results for the fourth quarter of 2017,” it added. All in, MIDF Research maintained its ‘neutral’ stance on the stock. “Our ‘neutral’ stance is premised on the ongoing effects of the reshuffling of Ocean Alliances and mergers and acquisition activity among container liners which may continue to be a drag on its transhipment volume,” it explained.